If you’ve never heard of a Great Ball Contraption (or GBC for short), you’ve probably never been to a LEGO convention. 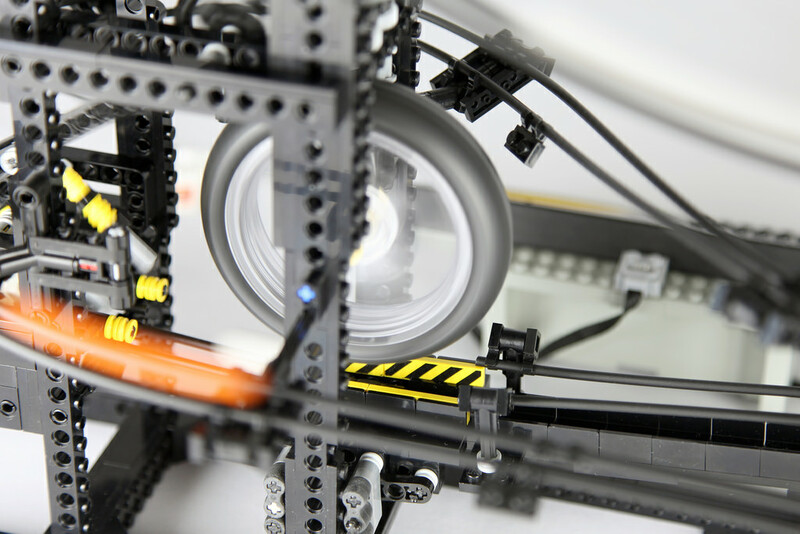 The term describes a popular theme of complicated LEGO machines built by fans, which can interconnect to continually pass LEGO soccer balls and basketballs around in a mesmerizing fashion, and they’re a mainstay of LEGO fan conventions. This particular GBC is built by Berthil van Beek, who was inspired after seeing another fan’s marble run. Berthil’s machine shoots the tiny balls up to the top of the run, where they hurtle down and are recycled. 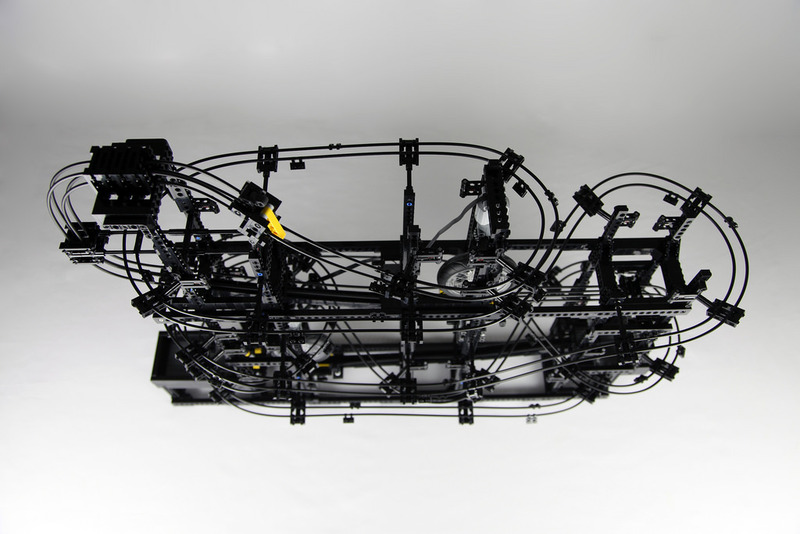 Berthil tells us his machine uses 63 pieces of 32L Technic flex tubing for the run, for a total of 16 meters of track. 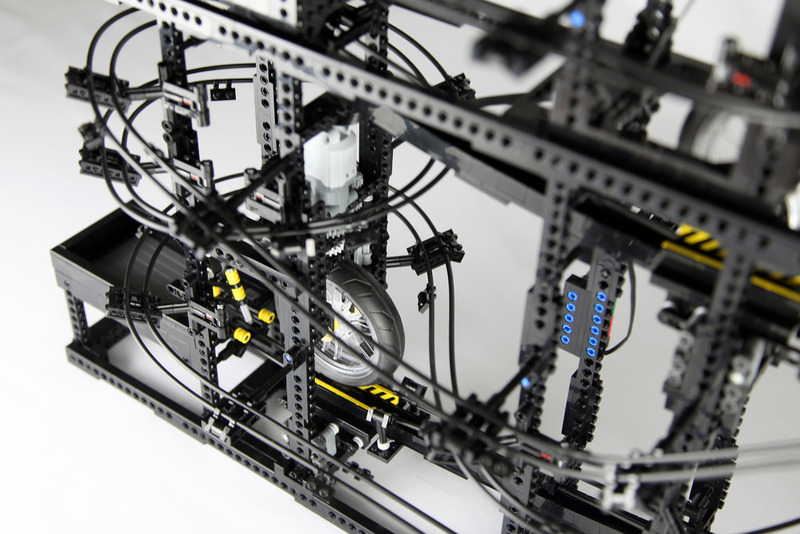 The Technic flywheels spin at 1000 rpm to accelerate the balls with enough velocity to reach the top of the run. 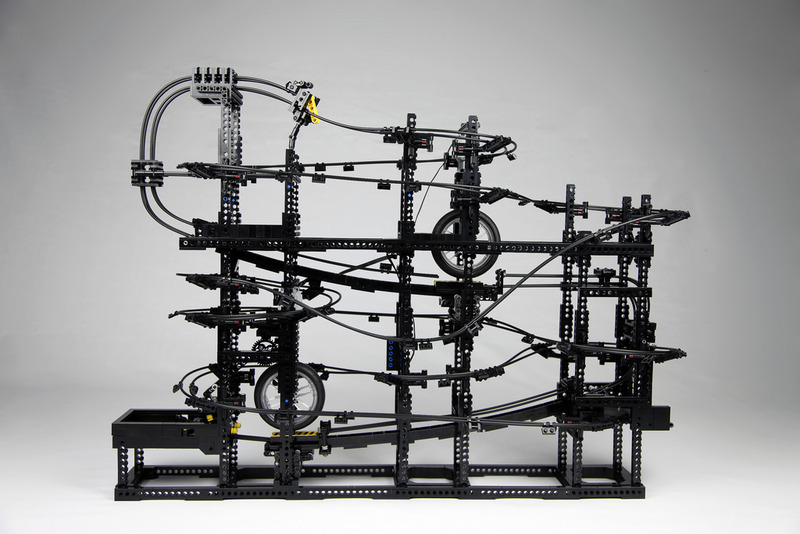 The entire machine runs on one LEGO 9V train regulator. If you like this Great Ball Contraption, check out the hypnotic LEGO Strain Wave GBC we featured recently.